Thermal Protection Factor (TPF) is an index that shows the amount of blocked heat energy (%). Renodigm EX Dual Crea, has TPF40, which means it provides 40% protection from external heat. The study shows that it is ideal to keep skin temperature 5°C lower than the body temperature. 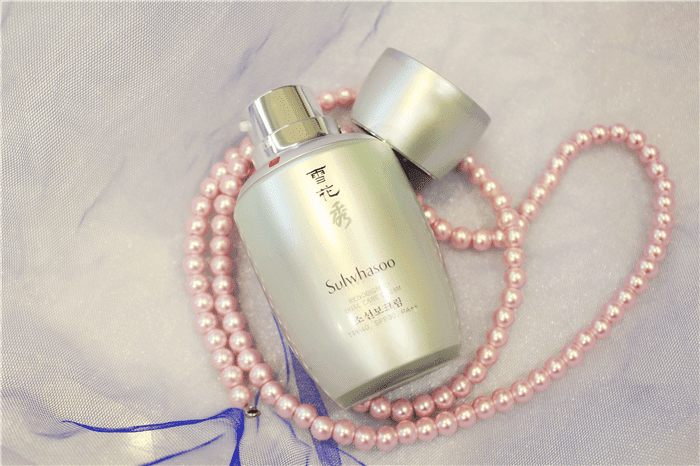 Sunlight and heat are the key causes of skin aging. 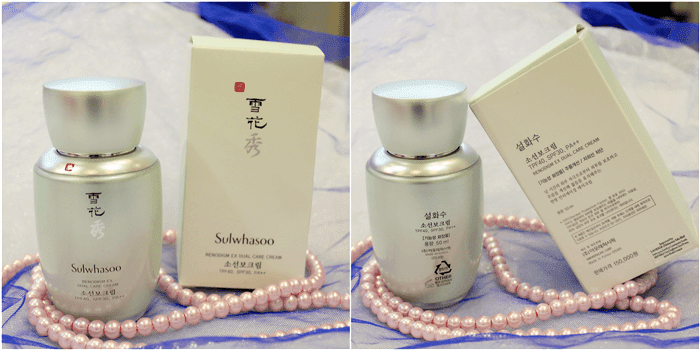 According to Sulwhasoo's 10 years experiences of research, skin that is constantly exposed to heat is prone to chronic redness and dryness resulting in the formation of fine lines and loss in skin elasticity. Based od studies, the average temperature of our skin is approximately 31°C but it could reach 41 to 43°C when exposed to the sun. Skin above it optimum temperature is affected internally and externally. Heat stimulation on the skin does not only cause discomfort and irritation, it increases collagen decomposing enzymes that reduces firmness, forms wrinkles and increases the size of blood vessels causing severe redness. 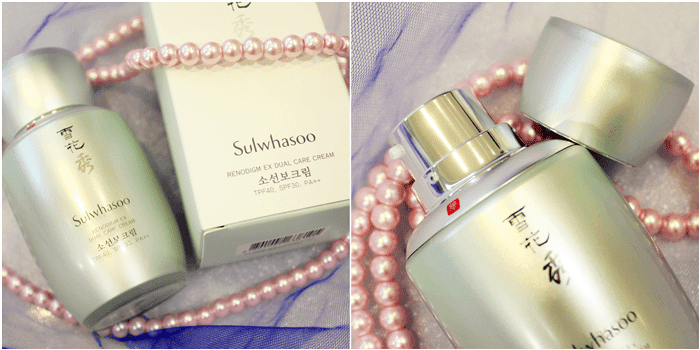 As for the texture, Sulwhasoo Renodigm EX Dual Care Cream is white light creamy texture. Although it is creamy but could be say as watery creamy because is easy enough to blend. It has a nice light herbal scent and fast penetration because of the texture. 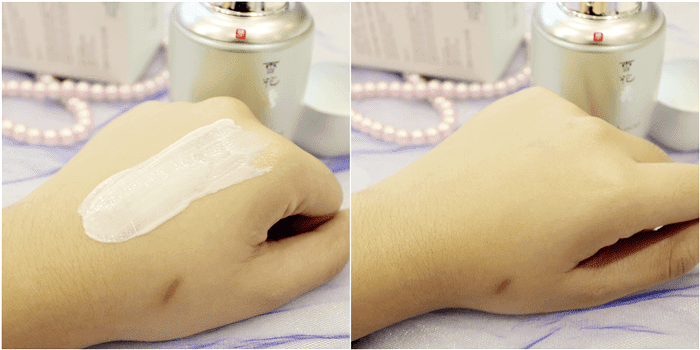 Sulwhasoo Renodigm EX Dual Cream is a day cream because contains SPF30 PA++ and TPF40 but it doesn't feel sticky and heavy when applying. To who does not like the scent of SPF, you can consider this because this product has a major light herbal scent (and actually I really don't know the scent of SPF) but you guys still can try it out. As for the result, I have tried and tested on this product for two weeks. My skin is combination dry. I am happy with this product because so far my skin doesn't feel greasy and sticky after apply. I can't give this product a credit for oil-control as this product major is not in this and oil-control can be controlled by taking enough of water supplement. I like this product contains SPF30 PA++ and TPF (I have apply sunscreen as well) so I can have double protection from bad UV. As for moisturizing part.... YES!! This product moisture level is high. Kindly apologize for no picture prove provides as I have erase the memory on my skin moisture test tool. 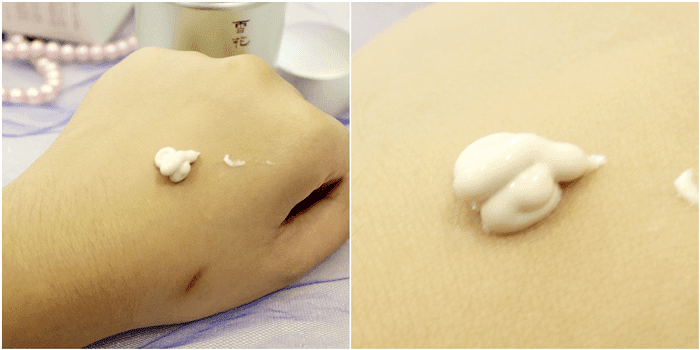 Just right after I applied Sulwhasoo Renodigm EX Dual Cream, my moisture level was 40% and after 6 six later where am back from outside, the moisture level left was 36%. It is consider as high as it's just drop 4% in 6 hours. Of course, I could say depending on environment and condition of the day.